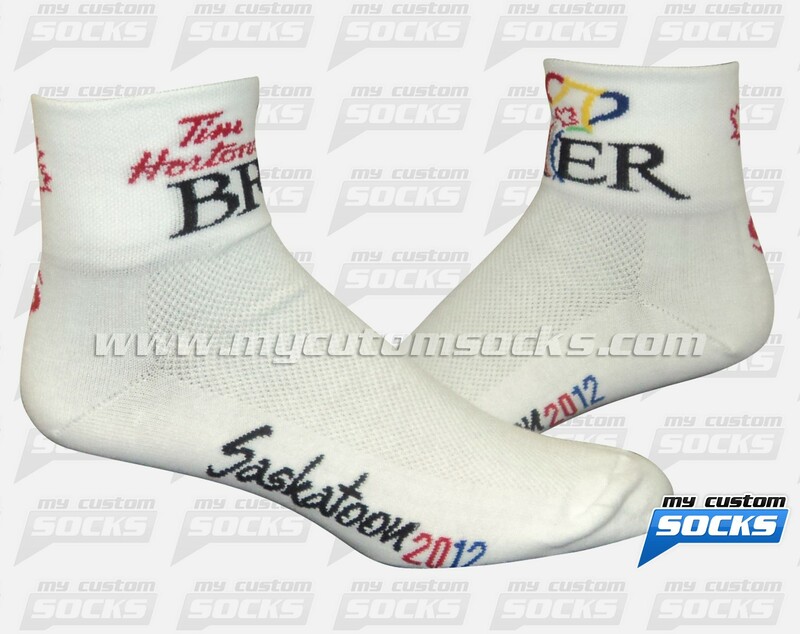 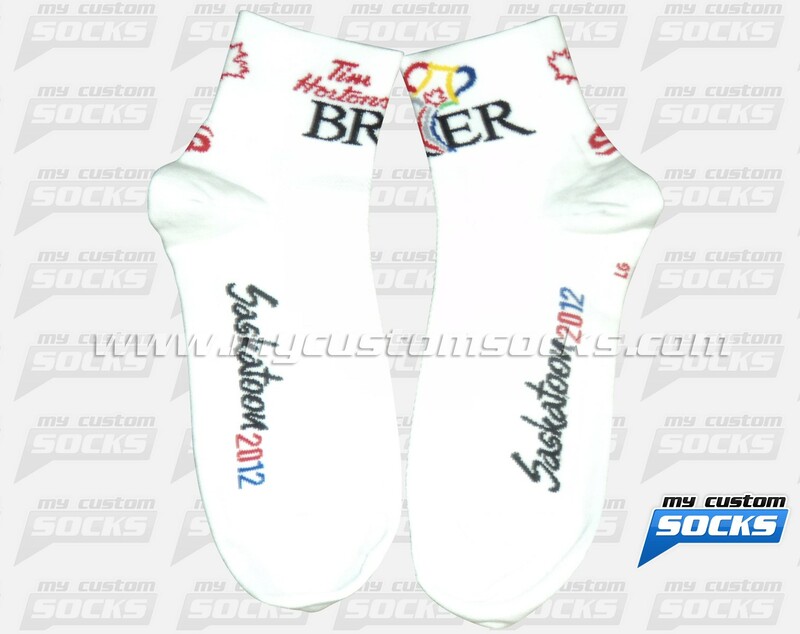 Team Custom Socks was proud to work with Tim Hortons Brier in Saskatoon, Saskatchewan. 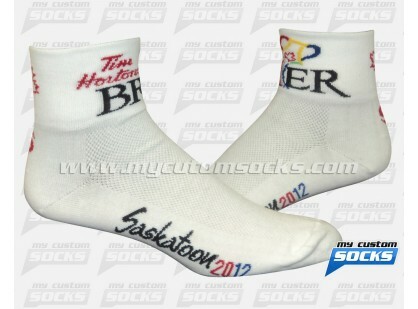 They needed custom socks for their 2012l curling tournament. 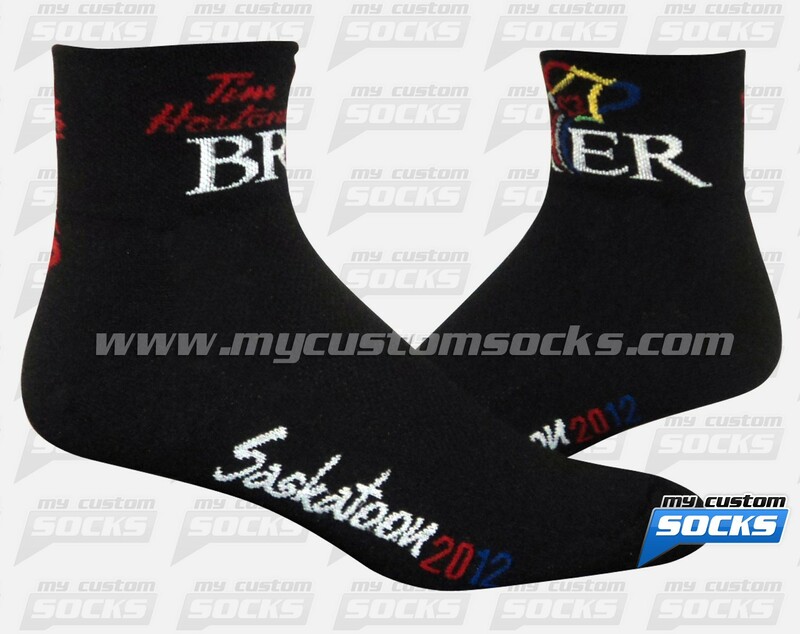 They wanted a low cuff sock that featured their logo on the cuff. 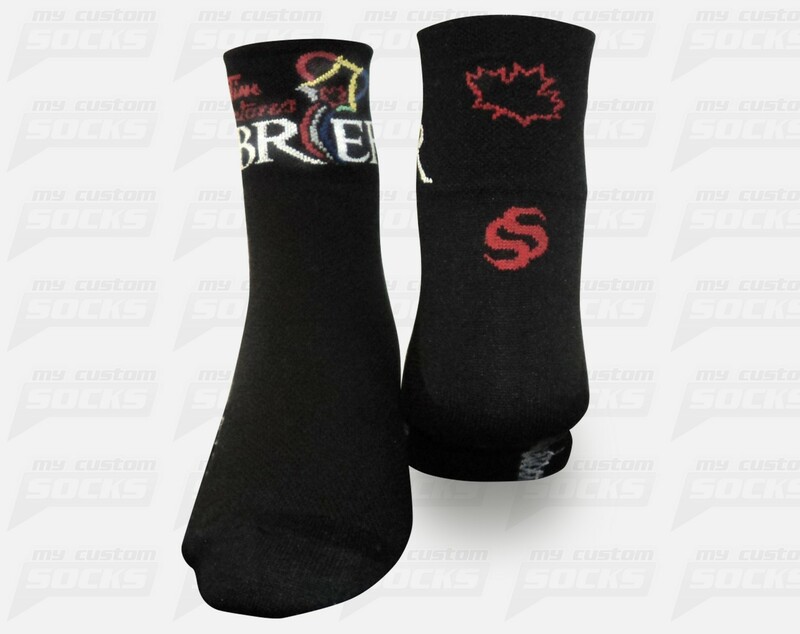 The 2.5 inch sock that our team designed for them was exactly what they were looking for.Top of the line fabric was used for added comfort and durability.